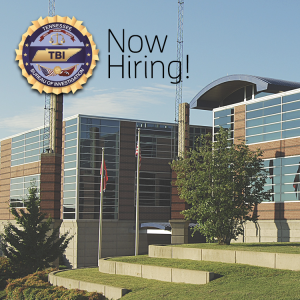 Apply for this position on requisition 153820 on the Tennessee Department of Human Resources website from July 6 – July 12, 2016 at http://www.tn.gov/hr/topic/employment-opportunities. Positions will remain posted from July 6 – July 12, 2016 for a total of five business days. Responsible for developing curriculum and publishing completed courses via the TBI online training platform, Adobe Captivate, Adobe Presenter, and Storyline. Provides customer service to online students by providing technical assistance for navigating courses via desktops, laptops, tablets, and cell phones. Coordinates and facilitates webinars of training by insuring appropriate equipment is set up in a timely manner and records the training for later use. Obtains appropriate accreditation approvals for courses by providing proper documentation for approval, such as Peace Officer Standards Training (POST) credit by the POST Commission. Education and Experience: Graduation from an accredited college or university with a bachelor’s degree and experience equivalent to two years of full-time professional work in one or a combination of the following: academic teaching; educational administration; development of instructional materials for academic programs; or training. Substitution of Education for Experience: Additional graduate course work in one or a combination of the following may be substituted for the required experience on a year-for-year basis, to a maximum of two years: (1) Human Resources Management; (2) Industrial/Organizational Psychology; or (3) any field related to the design or evaluation of curriculum and related instructional processes, including, but not limited to Curriculum and Instruction, or Educational/Instructional Media Design, Educational Evaluation, Research, and Statistics. (e.g., 36 graduate quarter hours may be substituted for one year of required experience). Substitution of Experience for Education: Any teaching or training experience, or any remaining professional experience may be substituted for the required education, on a year-for-year basis, to a maximum of four years. OR One year of professional experience in delivering workforce training with the State of Tennessee. Apply for this position on requisition 153800 on the Tennessee Department of Human Resources website July 6 – July 12, 2016 at http://www.tn.gov/hr/topic/employment-opportunities. Positions will remain posted from July 6 – July 12, 2016, for a total of five business days. Responsible for instructing, developing, and/or coordinating training for the Tennessee Department of Children’s Services Child Protective Services Investigators, the Tennessee Department of Human Services Investigators, the Basic Criminal Investigation School, TBI Citizens’ Academy, TBI Director’s Academy, and TBI online courses via TBI LEARN. Receives voluntary internship applications, interviews qualified intern applicants, recommends interns for selection; and coordinates and schedules the training of interns. Leads the Training Officers and online Training Officer’s projects, assists in preparing the annual Training Budget, and assesses the travel and training savings due to the TBI LEARN online training system. Obtains Peace Officer Standards Training (POST) accreditation for courses taken by law enforcement officers, verifies courses adhere to POST and Commission on Accreditation for Law Enforcement Agencies (CALEA) training standards, and researches accreditation for additional courses, as they are developed. Researches and assists in researching additional curriculum for both classroom and online training courses. Education and Experience: Graduation from an accredited college or university with a bachelor’s degree and experience equivalent to three years of full-time professional work in one or a combination of the following: academic teaching; educational administration; development of instructional materials for academic programs; or training. Apply for this position on requisition 153805 on the Tennessee Department of Human Resources website July 6 – July 12, 2016 at http://www.tn.gov/hr/topic/employment-opportunities.